← Honoring Mothers: Keep it Real. Sweetie in our early years together. Maggie was loyal to the core. My sister, Elin, and I bid farewell to our dogs within four months of each other. 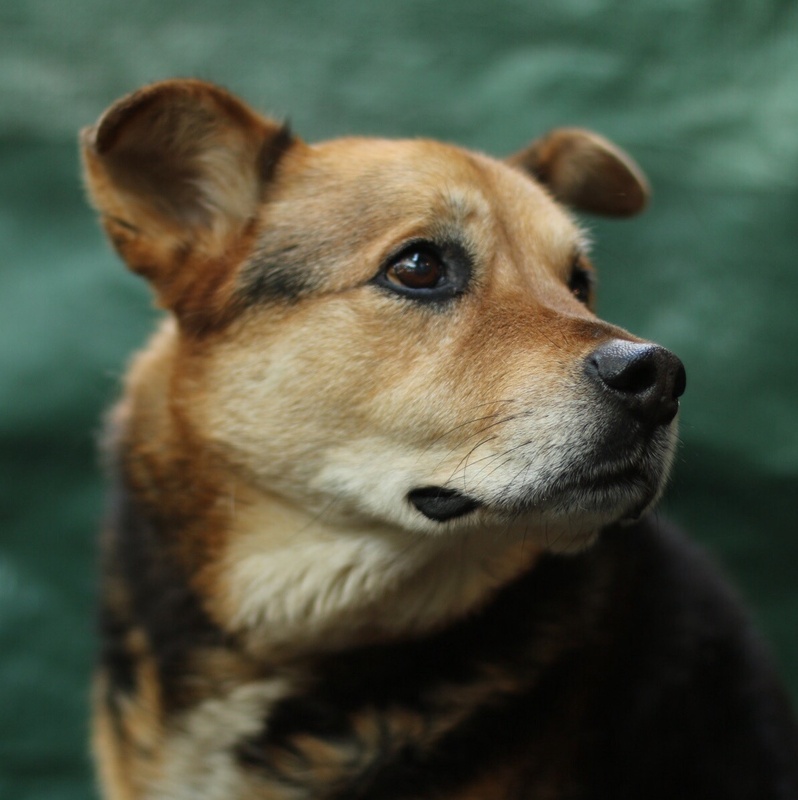 Interestingly, they were both German shepherd mixes, who shared similar black and caramel coloring and reliable, painfully loyal temperaments. In peripheral vision, one could be mistaken for the other, though my Sweetie’s build was slight and less muscled, with a soft belly that comes from motherhood. 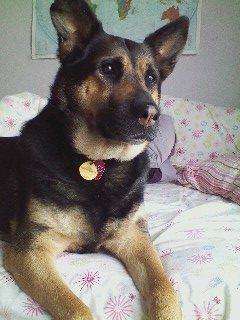 Sweetie, the (dog) love of my adult life, my loyal and constant companion, experienced a tragic, unexpected death. One moment she was in my life; suddenly she was not. Maggie Leigh’s illness progressed slowly. Elin watched as her once athletic companion began to move deliberately, then became increasingly wobbly until she suffered a stroke. But she remained mostly mentally capable until the end, always tracking Elin. Maggie Leigh left this world gracefully. No one will ever convince me that grieving a dog’s passing isn’t profound, no matter how the end comes. While sometimes we can sort of prepare, that first morning without the familiar greeting of unconditional love from the bond born the moment eyes connected through metal bars at the pound, delivers a gut punch. I’ve heard it said that dogs teach us lessons we need at the precise life phase we need it. Dogs make us better humans if we allow for it. That is, if we are willing to open ourselves to that same connection that inflicts the excruciating pain in their passing. I didn’t want a dog when Sweetie came into our life. I said I’d only take a dog who didn’t bark and was easy going, and I listed other criteria too unrealistic to fulfill. But then I got the call from my dear friend, a “dog-whisperer” type who said, “I got the one for you.” She was right. I fell in love. She wasn’t a beauty though, at least not objectively. When my husband and I met Sweetie, she stood and leaned over the edge of the low wall of her pen to greet us while four of her seven puppies hung from her teats, desperately sucking. Her ribs protruded and her stomach swung as she walked. Having just transcended that phase of motherhood myself, with toddlers hanging off me, I understood completely her joy and relief to take a walk with us down the country road without the babies. And I also identified with the way she checked on each one upon her return. Her first night home with us, alone, she slept through the night, gloriously sprawled on her back, in her own bed. We understood each other. For the rest of her life, it was her preference to sleep alone in her bed, only retiring after she’d checked on each family member. Sometimes she’d nudge us to come up to bed because it was getting late. Family life is not easy. Adding children to the mix can bring much joy, but it’s also like filling a giant, old urn with water. 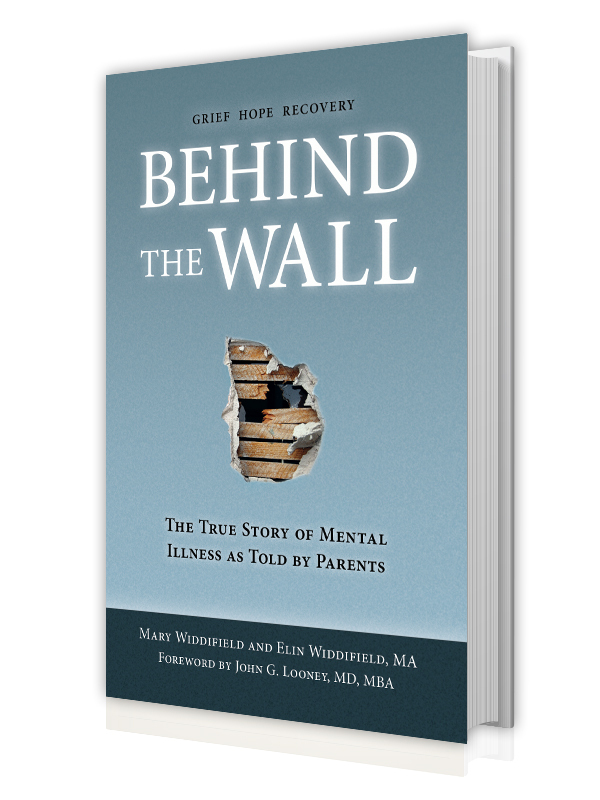 The cracks of the parental relationship are exposed by the leaking water; if the thing is fundamentally unstable it all comes apart. For us, children certainly added new dimensions of stress, logistical challenges, and forced closer inspection of our marriage and ourselves. Fortunately, we have been moving through it, but the process has been fraught with chaos as well as grief, frustration, sometimes pettiness and anger. But throughout these transitions, we had good intentions. And we had Sweetie, who reminded us to get out in nature and offered unwavering loyalty and affection. Sweetie connected us to outsiders too, which is notable considering my penchant for a hermetic life. She was a perfect citizen. She was also co-parented by our next door neighbors Patricia and Richard, whose dog, Molly, trained Sweetie on the ways of the neighborhood, barking furiously when Sweetie strolled too far down the street towards a dodgy intersection. Patricia and Richard also generously hiked with Sweetie, even after Molly’s passing, and kept her when we traveled; we never had to experience the guilt of leaving her in a kennel. When Sweetie was left alone, she was devastated, but since she loved these neighbors, known for feeding her steak when she’d stroll over for a visit, she seemed to see it as a spa vacation. We’d had Sweetie only a few weeks when we were walking downtown and I reminded her at the curb, in a soft voice, “Wait.” She stopped dutifully as if we’d always done it that way. The first time I took her leash off, she looked at me, as if to say, “Thanks for trusting me,” and never really needed one again. She’d hear my commands in my normal speaking tone of voice, and in fact, we never raised our voice to her. There was no concern for her getting into an altercation with another dog either. When she sensed trouble, she’d simply walk a wide arc around the problem and never look back. She was a good role model for me. I took Sweetie everywhere. Though dogs are not permitted at the elementary school, I often brought her to the campus when collecting my children. Many of the kids knew her by name and she loved the attention as if she knew it was her role on earth to be kind and represent her species well, especially for those kids without dogs at home. We’d often be approached by kids on the street who knew Sweetie and would greet her affectionately. My identity became linked to the sense of her being constantly at my side. Like a true therapy dog, which she essentially became, she kept me calm and grounded. Sweetie was also a delightful companion. I talked to her constantly. We loved going to the beach and even enjoyed the cold Pacific water. She loved creeks too. And simply being with her pack. Dog love feels pure to me. Sweetie brought so much unconditional love and joy into my life. So, as the years passed, and I noticed the white whiskers around her face, I promised I would be with her to the end of our natural time together. I promised her I wouldn’t allow her to feel pain. It’s the least one can do for an animal so devoted and special. Yes, I would be with her until the end. I earnestly whispered this, pressing my lips into the soft fur of her upright shepherd ears. I also swore I would never get another dog because I knew I could never do better than her. I broke these promises I made to Sweetie. I failed the one who held unconditional love and devotion for me. It’s sickening. Sweetie loved hikes and swimming in creeks. It’s hard to accept that you cannot go back in time to change events. As much as I know it’s fruitless and an act of self-flagellation, I continually run the tape loop of how I could have prevented the accident that killed her. I could have found her sooner, before the accident. I know I could have saved her. All this excruciating pain could have been avoided. When my dog-whispering friend, Cate, learned of Sweetie’s passing, she reminded me of the lessons Sweetie taught me. This did not immediately assuage my grief. Instead, I grieved more deeply because she had given so much and I failed her miserably. I betrayed her. Not a day goes by I don’t think of her. My husband and I get a lot of compliments on our new dog, Pepper, a year-old Dutch shepherd (yeah, it’s a thing) puppy we adopted from a dog rescue to fill the giant chasm Sweetie left. Her glossy brindle coat and athleticism belies the digestive problems she had for the first four months we’ve had her. She wasn’t fully house trained during some of that time either. Last week she ate my son’s candy and threw it all up at three am, wrappers and all, on one of our good rugs. She’s still shitting wrappers. She requires a minimum of two hard workouts a day. Along with plush toys and tennis balls, there are random shoes, socks, baseball caps, TV remotes, and whatever else is within her reach strewn throughout the house, as it is her habit to carry something around to get attention. Luckily and surprisingly, she chews only her toys and bones we give her. She exhausts my husband and me. And of course, all four of us have fallen in love with her. Hard. Which may be why this dog came to us. She has forced all of us to actively engage with her. All. The. Time. And while Sweetie was in fact, the most perfect and loving dog, she was not one to cuddle, which is arguably the most critical requirements for the well-being of adolescents and teens; nothing soothes better than a pet snuggling with you in bed on those dark, cold nights after a day when your friend(s) never returned your text or ignored you at lunch. Our house is one in which we’re all struggling to grow into something better—whether it’s into a new or changing career, getting through high school or getting the hell out of middle school in one piece. Pepper is distracting us all from the banal by needing us to play, and care, and cuddle. It’s not always possible to make sense of why things happen the way they do. Even if we could know, I’m not sure it’s useful to know why we suffer a loss, heartbreak, or a joyful moment. I know for sure that we cannot control most of the heartbreaks we experience. I also know Sweetie pulled me into my community by being perfect; loved me unconditionally during a particularly turbulent family phase. Maggie served as a steadfast companion to Elin when she most needed it too. And now, Pepper seems to be shaking up the household in a whole different way. And to think, we almost re-homed her only two weeks after we’d brought her home. 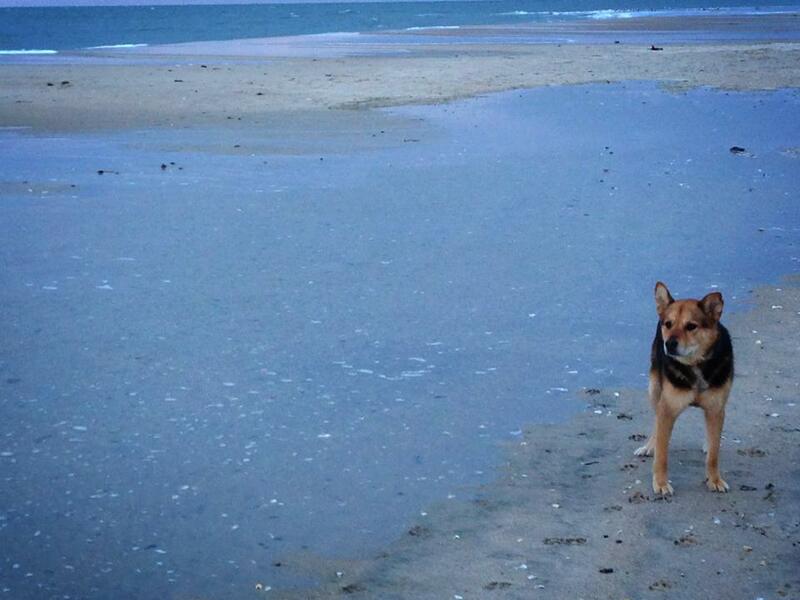 Both Sweetie and Maggie enjoyed the beach. 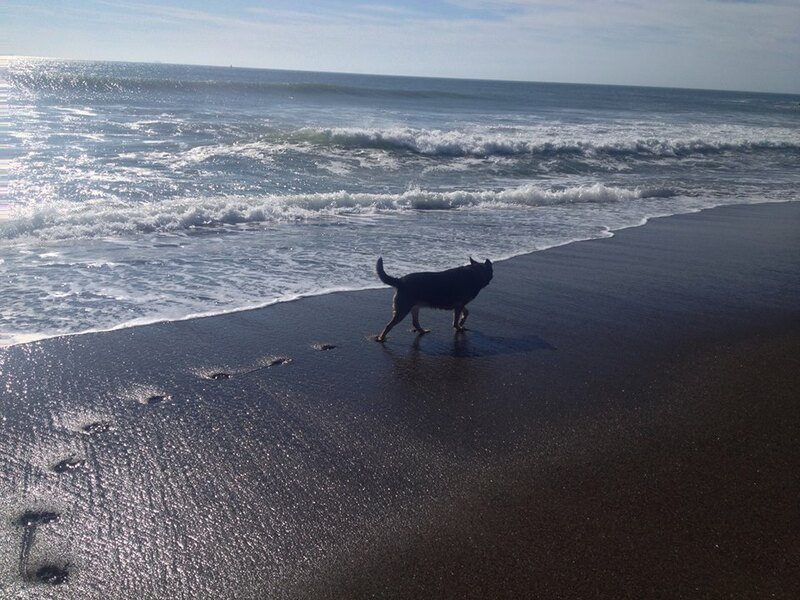 We took our girls to our respective beaches–Atlantic for Maggie and Pacific for Sweetie– as often as we could. Such a beautiful tribute, Mary. I so know and you hit every loving point. Thank you. We were honored to be interviewed for an episode of VoiceAmerica's "One Hour at A Time" hosted by Mary Woods. Click on the link to hear the interview. 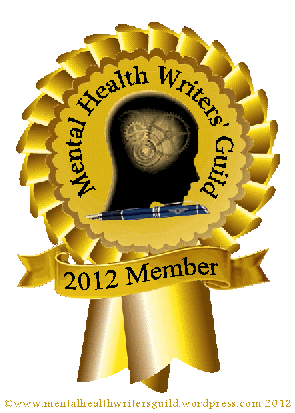 Behind The Wall is a member of The Mental Health Writer's Guild, a resource for bloggers and readers of blogs that have a core focus on mental health issues. There is no common truth, but there are facts. If it tastes good, it IS good.